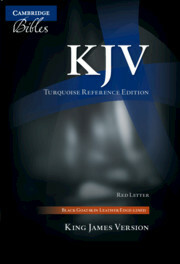 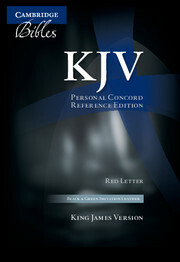 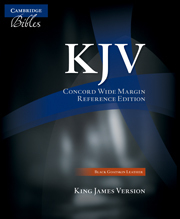 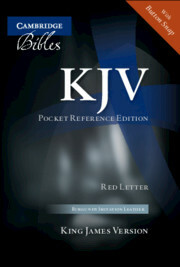 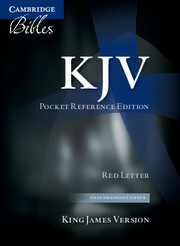 The KJV Concord Wide-Margin Edition is extremely popular with KJV Bible scholars. 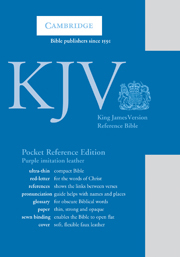 It features wide margins all around the text for verse-by-verse annotations, as well as centre-column cross-references, a glossary, concordance, 15 colour maps and the Translators' Preface. 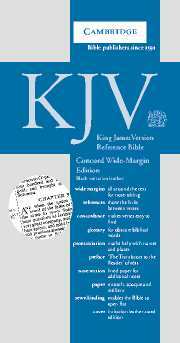 This economical and practical edition is printed on a smooth, opaque and resilient paper and is case-bound in attractive black imitation leather .